Good morning! It's past 12 in the noon and I am still having my breakfast while checking emails. I guess this is brunch. My body clock is ruined.. and because I woke up late had more than enough sleep, i'm ready to face all errands and finish them on the day. Productivity is now! I hope you're having a pretty awesome Monday! 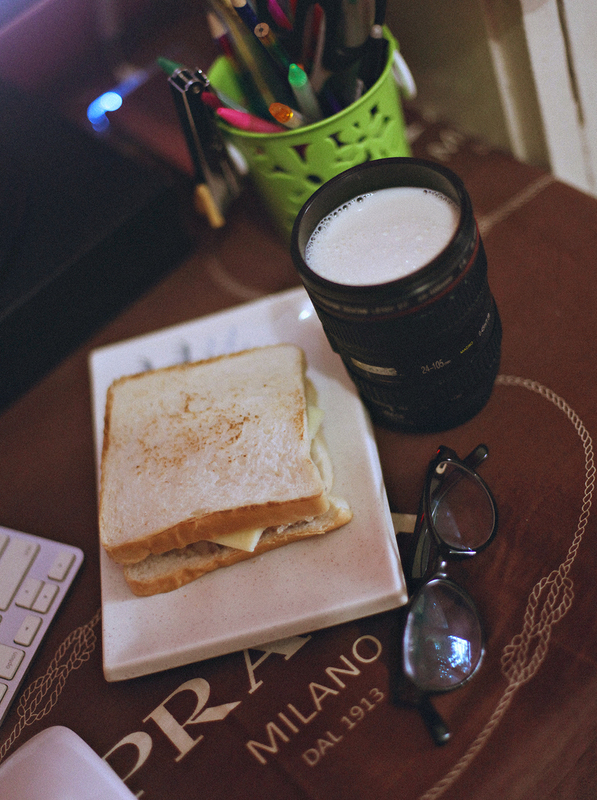 Anyway, milk and chicken sandwich, anyone?